Beat This Caption Contest 177 Winner – Caption Contest Funny Clever Witty Enter Today! Wait a minute… What is it again, Hi-Ho-Hi-Ho? 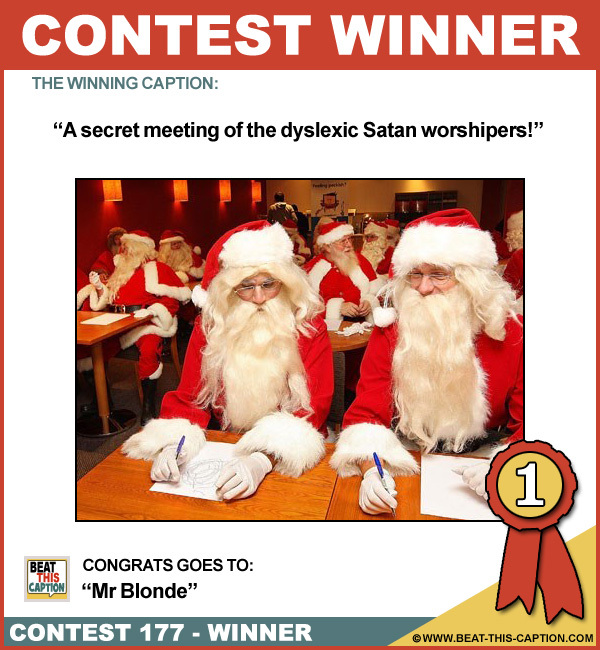 A secret meeting of the dyslexic Satan worshipers! That explains the baby in the fireplace… Great Caption! :) You WIN! The Duck Dynasty guys try desperately to improve their image! One kid wanted to meet the M&M Man! No, I wanted to go to Law School, not Claus School! They’re asking me about Megan’s Law. I’m just not gonna answer that one!